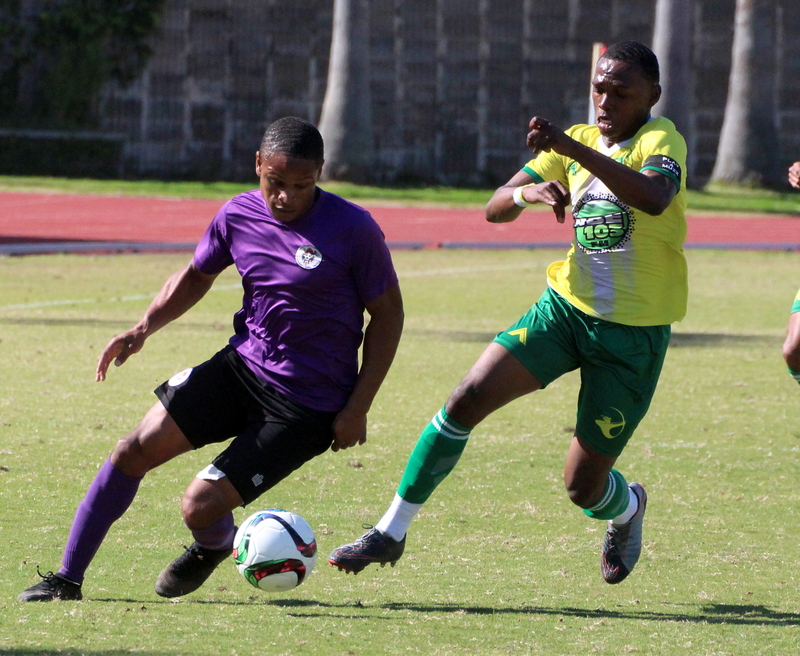 Shakir Smith gave Robin Hood the lead on the 3rd minute when he converted from close range following a cross from Lejuan Simmons. In the 22nd minute doubled the lead when Tomiko Goater found the back of the net through a maze of players. Donovan Thompson brought X-Road's back into the match when he rounded Dale Eve in the Robin Hood goal and scored from an angle. Simmons restored the Robin Hood two goals lead in the 34th minute. He beat an advancing X-Road's goalkeeper Dashun Cooper. Minutes later Simmons was withdrawn from the match with a groin pull. X-Road's pulled a goal back in stoppage time when a Paul Simons found the back of the net making the half time score 3-2.